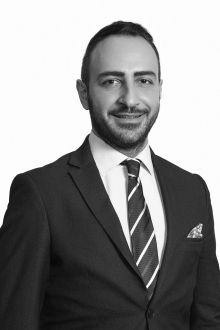 Turkey: Have you taken the required actions for the new Data Protection Law? Our Information Technology and Communications practice group draws upon an acute understanding and comprehensive industry knowledge to assist clients who want to remain innovative and profitable within this rapidly developing sector. The continuous evolution of the information technology and communications markets creates new and profitable opportunities for sourcing IT/C products and services. Our team of professionals utilizes long-standing experience of both the technical and legal aspects of information technology and communications to help our clients navigate complex legal and commercial risks. We provide a full scope of services, including advice on licensing and regulatory matters, internet issues, competition and antitrust, privacy and data protection, commercial contracts, sector-specific dispute resolution, related tax issues, labor law, and insolvency. Often, we are also called upon to advise on investments, mergers and acquisitions, joint ventures, spin-offs, and special corporate transactions for stakeholders with material interests in the electronic communications or IT sectors.